No matter how many times I see it still makes me cry & feel absolutely proud of our Indian Force. Who never caring about themselves put their lives out there to protect us. who are the reason why we are safe & sound in our homes because they are out there away from their home, their families protecting our Nation! The Story Of Pokhran– A Movie that will make you smile & feel Proud. A Movie where 6 Indians set on a journey of a secret operation to create History. A Story of an Innocent girl & her journey from a Daughter to a Wife to a Spy. A girl who was sent on a mission to serve her nation, where everything else her heart, her feelings even her life was put on the stake. who became the reason for saving many lives but lost something of her own. This dialogue defines this movie. If a common man sets on the journey to clean his nation to remove the bugs(terrorists) that have entered his home(His Nation) he will stop at nothing. A Story You Wish Were True! Phantom is a political thriller set in the volatile climate that exists in South Asia. Constant terror attacks against India have left the Indian people feeling vulnerable and angry. Along the way, they find out that in a mission like this there is always a price to pay, in this case, a very personal price. Two rival new reporters who stop at nothing to bring each other down team up together to get justice for an innocent man who becomes a victim of dirty politics. Old Movie but certainly one of the best. Okay! Too much of fight, blood & pain now let’s change the things up. What If I say get patriotic but with some laughter, while all the movies were more into serious drama this fun comedy movie will make you feel patriotic but will also make you laugh. A comedy take on how two countries are fighting each other when none of them really wants too & how “Media” if used right can create a new revolution. Let the world see the POwer of Media. Have any of your favorites that you wanna share? or any memory of independence day? 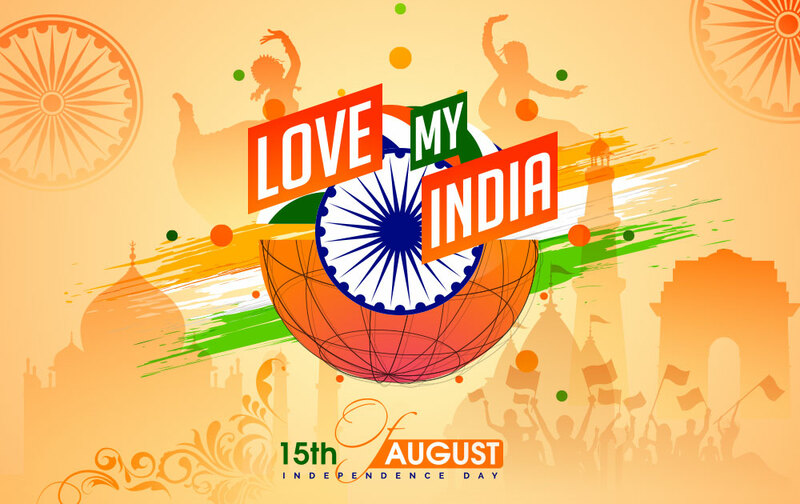 Though we don’t need a day to feel proud of being Indian still I wanna use this day to thank all those who played a role in protecting our country. Its only because of you that we are safe & happy. Thanks a lot for doing Anything & Everything for us.